Tuesday, August 21st, 2018 at 10:05am. The Palm Beach County Ocean Rescue Team (PBCOR) placed first place at the 2018 United States Lifesaving Association Southeast Regional Championships. 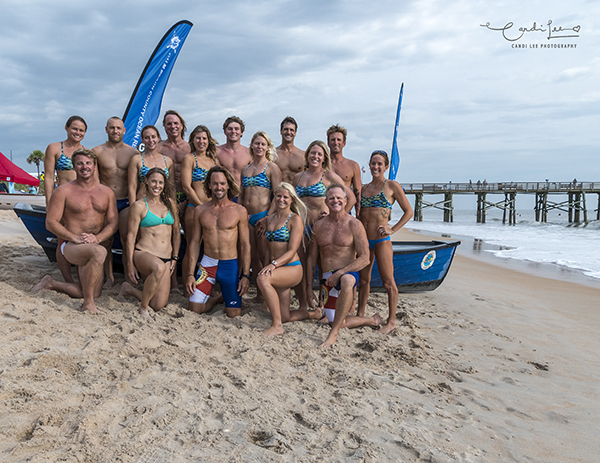 The competition was held at Flagler Beach and was attended by 22 beach patrol teams with some of the best ocean athletes in the United States. Palm Beach County Ocean Rescue was supported by 16 competitors who volunteered their time and resources to represent the County and included: Lieutenant Chase Robertson, Kim Robertson, Jessica Ventura, Lead Guard Tiffany Lacasse-Johnson, Lieutenant Phil Harris, Chase Harris, Matt Lynskey, Tracey Matuszko, Lieutenant Dan Barnickel, Russ Gehweiler, Jessie Stevens, Training Officer Steve Kaes, Kira Shoemaker, Mitchell Irwin, Hanna Forrest and Lex May.